This fabulous 5.000 m2 land for sale in Ubud Bali possibly the most Attractive land for sale in Bali, an Astounding Property for sale in Ubud Bali. Featuring River side this Gorgeous block of land in Ubud is one of our featured land sale in Ubud Bali listed on our Ubud property listings. Strategically situated in Taro, Ubud Tegalalang Bali, this River side inexpensive land in Ubud Bali for sale is suitable for commercial villa / resort . 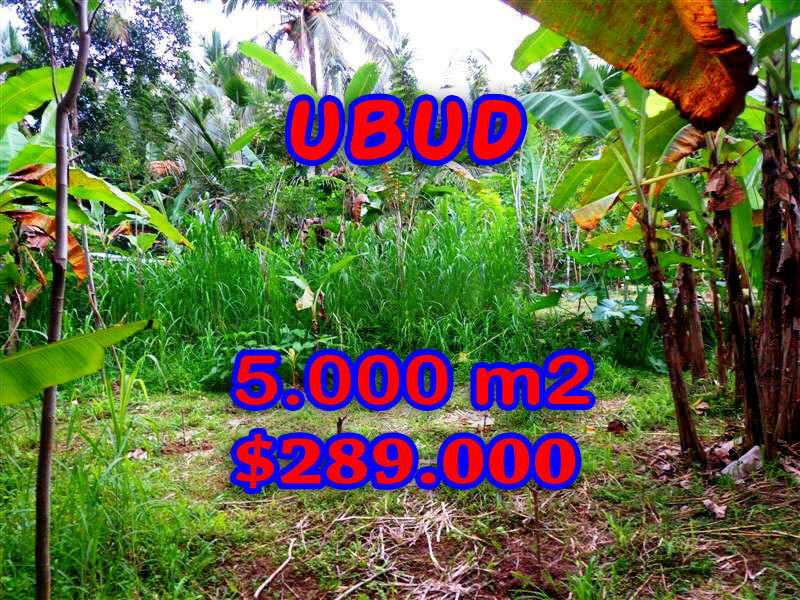 Very Reasonable price USD 58 / m2 which considered very cheap compared to other Ubud land for sale this Superb land in Bali for sale in Ubud is a Golden opportunity for Property investment in Bali too. Bellow are the specs and the the features of this inexpensive Great view land for sale in Bali. This Eye-catching 5.000 sqm land for sale in Ubud Bali is one our best offer of Excellent land in Ubud for sale featured on our listings of property for sale in Ubud Bali, one of the most Astonishing property in Bali available for sale on current Bali property market. This Magnificent 5.000 sqm land for sale in Bali River side in Ubud Tegalalang is proudly offered by Bali Real Property, a group of Honestly Native, legally competent local Bali Property Professionals focused on Bali Real Estate Development and Property investment. Beside this Astounding River side 5.000 sqm land in Ubud for sale in Ubud Tegalalang Bali Real Property also offers a wide selection on other Attractive property for sale in all Bali prime locations. House for rent, Villa for sale and many options of Outstanding Land for sale in Ubud, land for sale in Canggu, affordable land in Jimbaran for sale in Nusadua, land sale in Tabanan and other Stunning Bali property for sale in most prestigious locations in Bali Dream Land.